HEN COTTAGE: sleeps 6 people. 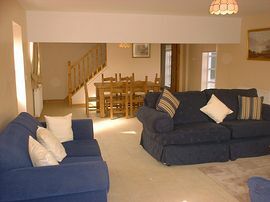 The three bedrooms consist of one double room with en-suite. Two singles in one room and bunk beds in another. THE DAIRY: sleeps up to 8 people. With en-suite, two twins and a sofa bed. 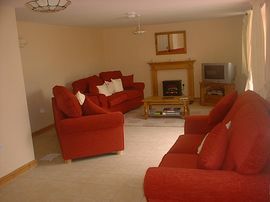 Both cottages have large spacious kitchens and living rooms. 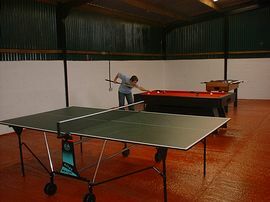 There is a games room available to guests with table tennis, pool table and table football. 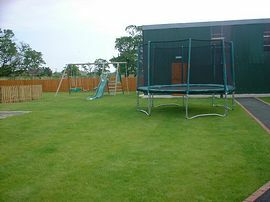 The outside play area includes swings, slide and trampoline. 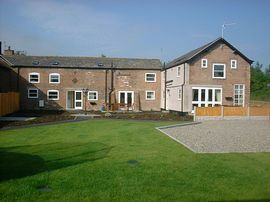 The cottages are set down a quiet country road surrounded by open green fields. They are only 7 miles from Chester and the gateway to North Wales. It's a great place to explore or just to relax in the quiet surroundings. Full directions can be found on our web site. Tariffs for the two cottages range from £263.00 to £670.00.